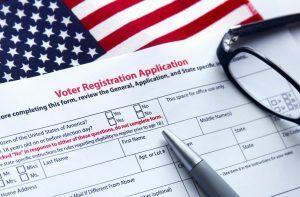 There have been 252,224 new state voter IDs created in 2018 “that have not been identified as transfers or duplicates,” according to the latest data from the Washington Secretary of State’s office. 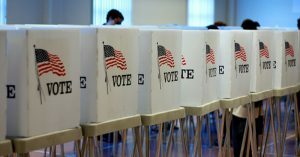 That number is up almost 54 percent compared to the number of new voter IDs that were created between January and November 2014, the last time a midterm election was held. 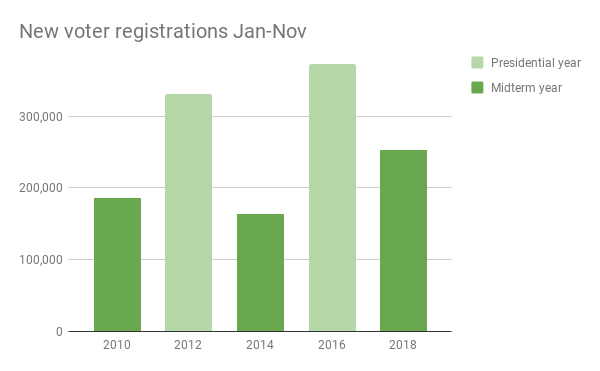 This year’s number of new registrations still doesn’t quite compete with the last two presidential-election years, but is certainly much higher than a typical midterm. 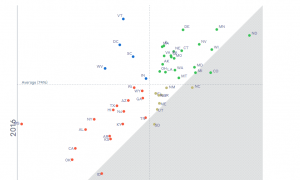 And data from the last two midterms doesn’t indicate that this is an ongoing upward trend of new voter registrations in midterm-election years. 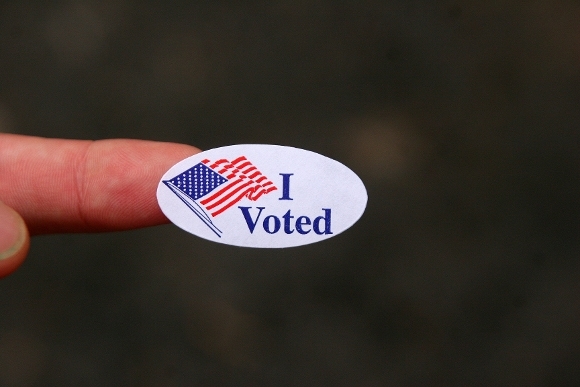 More new voters registered in 2010 (185,439) than in 2014 (164,175).